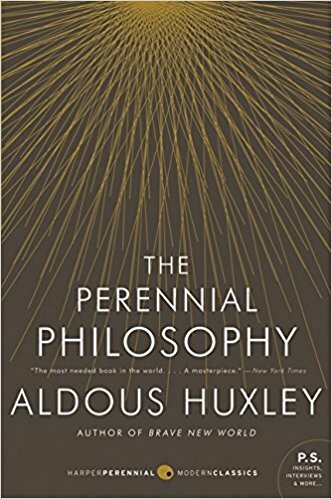 I’ve spent this weekend reading Aldous Huxley’s book The Perennial Philosophy. I would describe it as Huxley’s attempt to glean some sort of universal truth which all the world’s religions and spiritual traditions point to, while filtering out the rest of the nonsense. It’s a great book, but it’s not really what I planned to discuss. While reading it, I came across something that really stuck out to me. He pointed out that the Greeks believed that Nature was conscious and divine, and that those who tried to conquer her would incur the wrath of a god named Nemesis. This deity attacks those who attempt to be too rich, too powerful, too violent, or even too ambitious. Any attempt at excessive control of nature, or your fellow men, will only invite punishment. Huxley points out that this was a universal truth expressed in many of the world’s ancient traditions and faiths, but our modern world has abandoned it in hubris. He goes on to make a compelling case that Nemesis is just as alive and well in today’s world as in the distant past. Huxley asks us if we’re happier in the modern world than we were in the past, and as I read his arguments, I don’t think we are. Some things are surely easier, but we have a whole new slew of problems that people of the past couldn’t have anticipated. He goes through many of man’s attempts to reform this world into something better, and for every “win” there is always a price we have to pay, and this price is oftentimes just as nasty, if not worse, than what was won in the end. One particular example was that of the printing press. Intellectuals of the time were heralding a coming paradise on Earth. With this marvelous invention, we would soon be entering an age of reason, intelligence, and democracy unheard of in the past. It’s easy to argue the benefits, but Nemesis was also right there. It didn’t take long before all of the major means of printing and information distribution were controlled by elites and this new technology came to serve advertisers, big business interests, and governments vying for control and power. While it did help to educate the masses, it also became a tool of control, propaganda, and manipulation. Nemesis largely cancelled the benefits. Another example was the airplane. We are finally able to build machines which allow us to overcome large distances in space, quickly and easily, but once again, Nemesis was right behind. Militaries around the world quickly turned these machines into death contraptions dropping payloads of white phosphorous and burning napalm down from above, creating a new source of fear and misery. In terms of suffering, is the ability to get from New York to Los Angeles in a few hours outweighed by all those killed and maimed by war bombers? It’s hard to determine, but I’d guess that the pros are cancelled out by the cons. So when we try to dominate nature, what is the major crime we’re committing? What are we guilty of? In short, this very idea of “progress” or “bettering your life” is the apocalyptic religion of Inevitable Progress. Their erroneous creed is that the Kingdom of Heaven is outside of you, in the future, instead of deep within you in the present. It’s one of the biggest sources of modern day misery, not to mention the destruction of our planet. The overall message of the Perennial Philosophy is that there is a Divine Ground, the ultimate unmanifested principle behind all manifestation. Deep within us is a connection to this transcendent power, and it is possible for us to become aware of this connection, know it, and love it. It is actually the true end of human existence to fully identify with this transcendent power, which is conscious and alive, having its own way of being. Past cultures have called this way the Tao, while in the modern day we tend to call it the divine “law”, but if one is to achieve their find end, they must adhere to this principle, which is pure, unconditional love to yourself, others, and all of nature. For quite some time now I’ve been a skeptic. I’ve found it hard to believe in much of anything. Most things I investigate turn out to a bunch of garbage. Anything that’s “real” should withstand scrutiny, and most of all, hold up in your own direct experience. It shouldn’t make a bunch of promises and then not deliver. I’ve never found anything more powerful than that core principle stated in the Perennial Philosophy. I know, from my firsthand experience, that if your gaze is always directed outward, thinking you’ll find peace and happiness in material things, whether it be a career, a love life, some fancy car, or whatever, you’re sorely mistaken. However, as I’ve been talking about on my blog incessantly, if you search deep within, connect to this “something”, it will directly manifest itself to you. It comes to those whose minds are quiet and still. This connection is easily drown out by a noisy, chaotic mind. But when you’re in a brilliant silence, it’s there. The keyword is ‘brilliant’. It’s not a dead silence. It’s a background hum of power that at times even communicates thoughts to you. Some people meditate and try to tap into this energy, saying ‘Aum’, over and over. If you listen to this Youtube video for a while, it has the same energy, but what the Divine Ground is isn’t a sound, or a vibration, or anything really. It’s a connection between the real you, at your deepest levels, and the divine source of all being, beyond all manifestation. It’s not physical. In Hinduism, they say the sound represents the connection between Atman (your soul, your true essence), and Brahman (the ultimate reality, the Divine Ground). You can make that sound with your mouth and feel the vibration in your chest, and between the sound and that feeling, that is its core frequency. It has no judgement, either of you, of others, or nature. It speaks quietly and subtly, just like your conscience (and it is probably the source of this conscience), and everything it says and does is loving and beautiful. If you’re unaware of this presence deep within, it’s likely due to why I never would hear it either — you’re lost in thought, particularly all kinds of (mostly negative) judgments about everything. I’ve mentioned many times on this blog that our brains create a sort of illusory conscious experience of “self”. Some people call this “ego”. There’s that background chatter in your mind, always making judgments about reality. Why did this person do that? Why did they do this? Why isn’t this better? Why is isn’t that better? So how do you combat this, and find that quiet connection? Gratefulness and appreciation. Actively seek out the good in whatever situation, wherever you are, and just thank the universe for the good things. When you’re around people, don’t focus on their faults. See the good in them, appreciate them, and thank them for everything they do. It’s infinitely more powerful than fault finding and nagging. The same goes for all of life. I once saw Terry Crews on the Tonight Show, and I could tell that he’s found it as well. I’ve heard over and over that Terry Crews is one of the nicest people you’ll ever meet. That’s exactly what students write in my teaching evaluations — that I’m very approachable and easy to work with. Strangely, I don’t really take credit for that. It’s more so the natural consequence of silencing your mind. Once you do, your thoughts start coming from this divine ground, and everything coming out of your mouth is encouraging, kind, patient, loving, and just overall good. “You” don’t really have to do anything but just be a vehicle for the experience. I mean, have you ever thought where thoughts come from to begin with? I haven’t a clue. From my experience, it’s like the brain is a radio, and you’ve tuned it to “goodness FM”. You just tap into it, and then it starts coming out on its own. A silent peace and divine energy comes along with it. Maybe all of this could be explained with normal human psychology and our brains, but a part of me wonders if there is some deeper mystery and power behind all of this. I personally have consciously communicated with this entity, and it doesn’t seem to be “me”. For example, one time I was really discouraged and lacking energy. I tried to fight it with will power, but my mind kept racing with thoughts of, “I’m so sick of everything”, and other thoughts like that. It was this whirlwind of negativity and depression. Then I closed my eyes and asked this being, “I don’t want these thoughts. I don’t know where they come from, but take them away. Please give me peace and help me rid myself of this.” Then I felt it, as if something from the great beyond heard me, and some divine plug entered my consciousness; this ‘Aum’ like energy started pouring in, the racing thoughts quit, I was at peace, and I was left in this “brilliant silence”. Brilliant silence means that I didn’t go anywhere and nothing was happening, but everything changed. I just became “aware” of life around me, the room, the walls, my desk, the computer screen, everything, and my attention was lifted from the negative, racing thoughts. I was just there at peace. Explain that to me? Where did that energy come from? I tried and tried to rid myself of the thoughts, but then I asked this something for help, and it came. This has happened on to me on multiple occasions now. If it was some being I could point to, or it resided in some location, I’d give a map and directions, but it isn’t anywhere, yet it’s everywhere. Whenever you’re in calm, mental silence, it’s there. I would like to write more about what connection to this ‘divine ground’ is, and how it manifests, but for now I want to conclude this post by saying that the idea of “progress” is something you should really think about. Most of us think this “progress”, mostly in the form of technology, is necessary to make a better world. However, I don’t think so. It’s hard to say whether things are any better than they were in the past. We make some things better, and in the process make other things worse. But in the end, everything we will ever need is already within us, and nothing “out there” is necessary to find peace in our souls. Become more aware of that divine ground dwelling in you and quell the noise through appreciation and gratefulness, and see where that leads you.